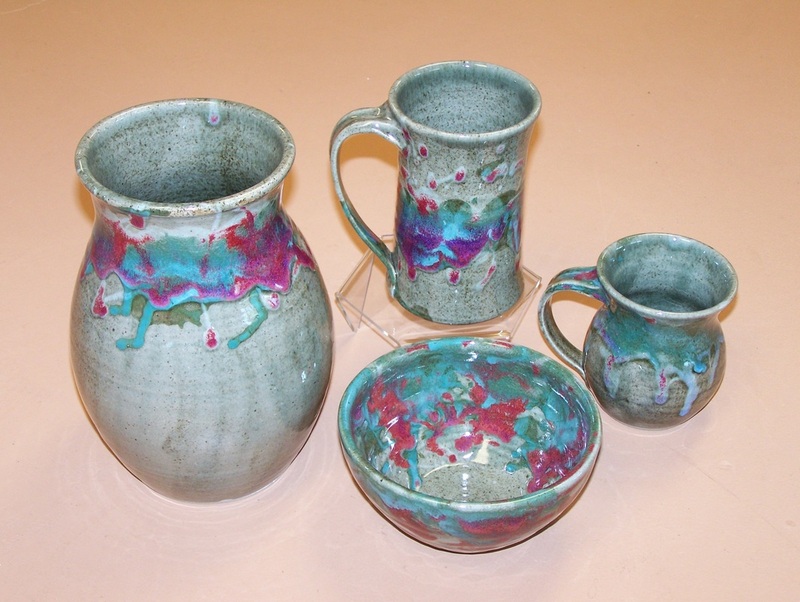 We are proud to offer Beautiful Hand-Thrown Pottery by Artist Tasha Biggers. Tasha's work is Oven, Microwave and Dishwasher Safe. Smoky Mountain Pottery is hand made in Gatlinburg, Tennessee. 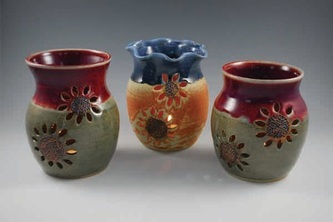 We feature these mini pinch pitchers that are as useful as they are adorable! Great for warming syrup, serving cream or salad dressing. Use your imagination. Matching saucers/coasters are available (not pictured). 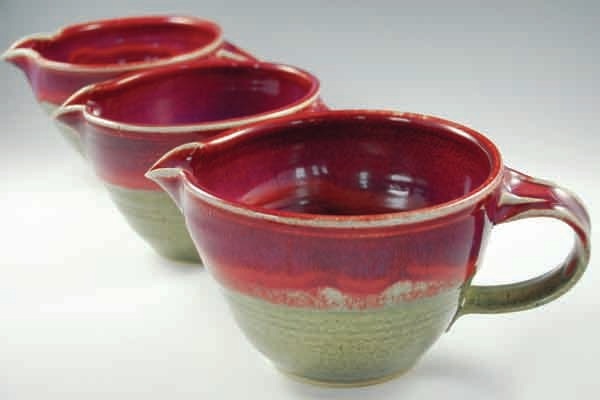 Use the dish under the pinch pitcher for drips or simply use them as coasters or soap dishes. 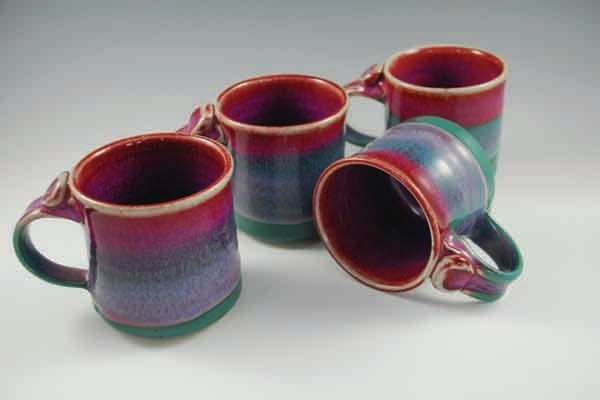 We also feature an assortment of hand crafted mugs. They are available in a variety of colors. Some with sayings or designs and some without. And you'll be surprised how affordable they are!